The school cafeteria is loud. The gym at recess is loud (especially when it’s divided in half and they’re all crammed together). In these settings the young autistic boy I work with often covers his ears. Last year we had him sit beside the cafeteria wall to reduce the noise, and right after lunch we’d go to the sensory room for 15 minutes. I always appreciated getting that break, myself! If we were having a particularly rough day I’d sit on the beanbag with the weighted blanket, not even caring that it amused my coworkers. 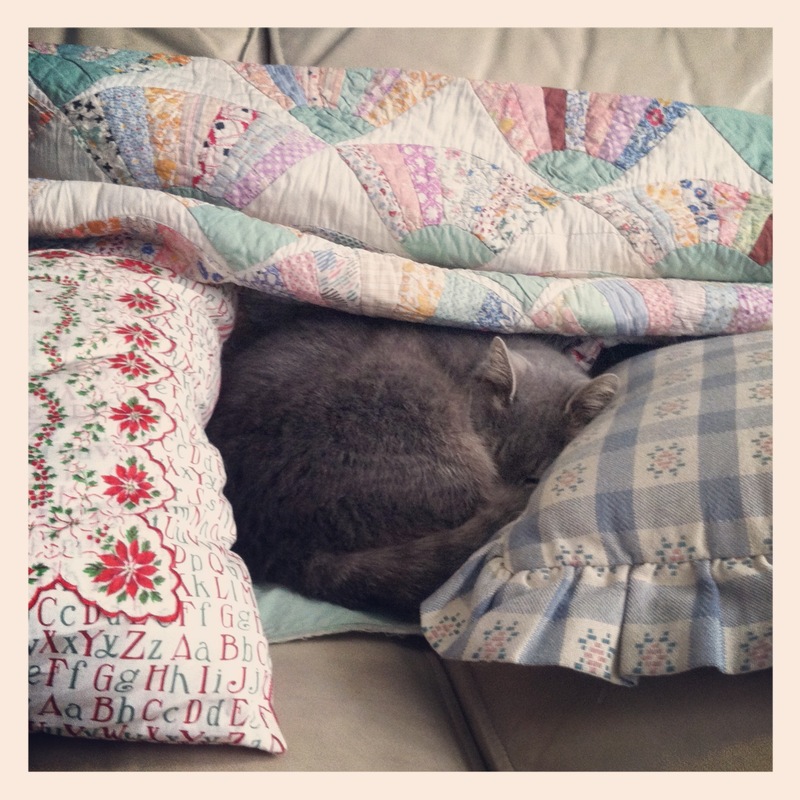 (As an aside, I love the one I have at home – I got it from DreamCatcher Weighted Blankets). For a number of possible reasons the cafeteria seems louder this year, and we usually go to recess right after. . . which means I’m feeling overstimulated and irritable right along with my client. Another woman who sits with us at lunch started wearing earplugs, and I kept saying I needed to remember to bring some, and we talked about options that my client might tolerate. Of course due to memory issues (like those described here) I haven’t remembered to bring any in. Today this kind soul had an extra pair and let me have them. Which was good, because I was already feeling overly sensitive today – I couldn’t even wear my ponytail properly-tight because I could feel individual hairs being painfully pulled. These are staying in my lunch bag. 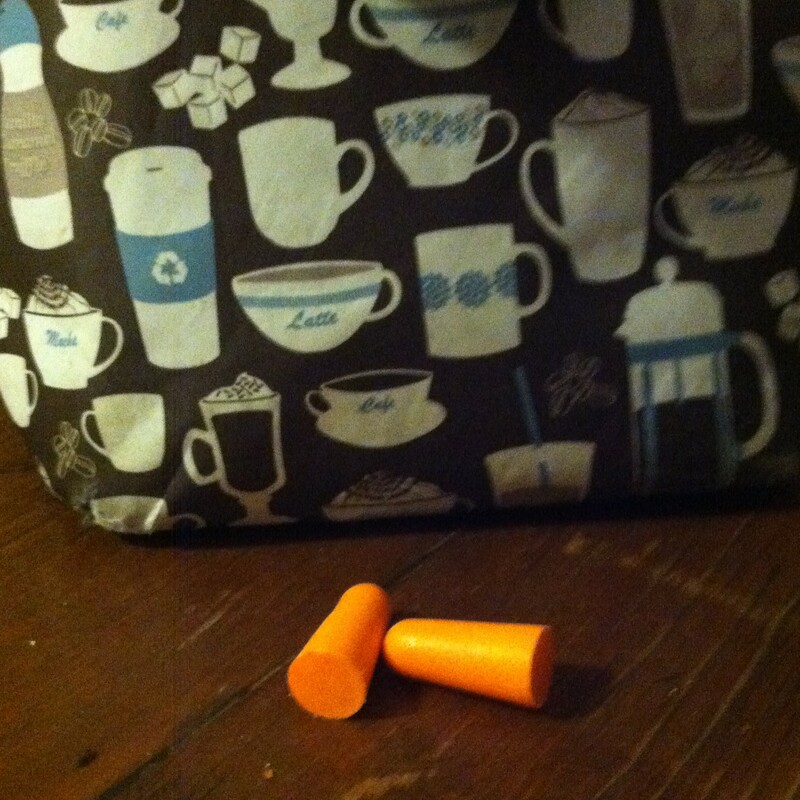 As soon as we sat down I stuck those little foam plugs in my ears and felt so relieved. I could still hear what was going on around me, but it felt like I was in a protective bubble. I noticed I was able to breathe easier, and when we entered the gym 15 minutes after lunch I instantly stuck those suckers back in. She tried giving my client a pair and he wasn’t able to tolerate them, but we’ve got to find something for him. I’m thinking he’d be ok with something like earmuffs – they may not be quite as sound-blocking, but it would still help! I know I’ll be using earplugs daily. This is what I feel like doing after being in those ridiculously noisy rooms. One of these days I want to take a decibel meter to work with me. I wonder if anyone I know has one I could borrow. . . This entry was tagged Aspergers, coping techniques, school, sensory. Bookmark the permalink.